Height: 6' 5" Weight:275 lbs. Background: Why he is significant in New Orleans Saints history? : He was low key, even quiet, reserved as a person. On the field, he was anything but. 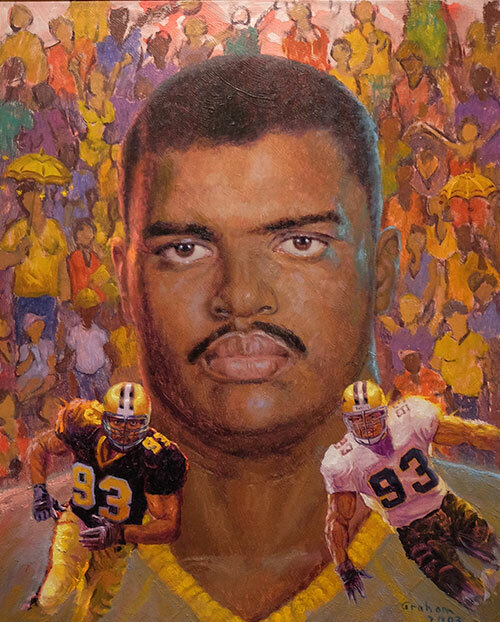 To date, Wayne Martin is the best defensive lineman in New Orleans Saints history, with all due respect to La'Roi Glover, Joe Johnson, Derland Moore, Will Smith, Jim Wilks, Frank Warren and Cameron Jordan. A model of consistency, Martin was an iron man, playing in all 16 games in 10 of his 11 seasons in New Orleans. He played in 171 games, seventh most in franchise history. His 82.5 sacks are the second most in New Orleans Saints history behind Rickey Jackson. He recovered 13 fumbles and forced 12. He was in on 596 tackles. He had an interception, for good measure. He was fifth in the league in sacks with 15.5 in 1992 and was second in the league in 1995 with 13 sacks. Martin led the Saints in sacks in four different seasons. Somehow, voters only voted Martin to the Pro Bowl once, in 1994, when he had 73 tackles, including 10 sacks. He recorded 10 or more sacks in five different seasons. What made Martin so good was his ability to play the run and rush the passer equally well, his durability and dependability. Greatest Moment: The Saints were a very good team under Jim Mora in 1992. They were 9-3 entering a Thursday night nationally televised game against the Atlanta Falcons on Dec. 3 in the Louisiana Superdome. It was a brutal stretch for the Saints, who were playing their third game in 11 days. In a game in which the Saints did not score an offensive touchdown, Morten Andersen booted five field goals and Toi Cook returned an in an interception of future Saint Wade Wilson 48 yards for a score as the Saints won 22-14. Martin was a primary reason for the victory. He sacked future Saints quarterback Billy Joe Tolliver four times and was in on eight tackles, a veritable one man wrecking crew in a brilliant performance. 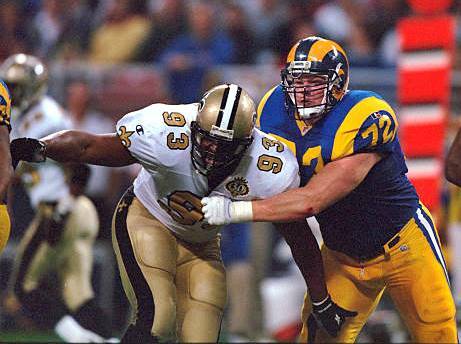 Honors: Martin was inducted into the Saints Hall of Fame in 2003. He was named second team All-Pro in 1992 and earned Pro Bowl honors in 1994.